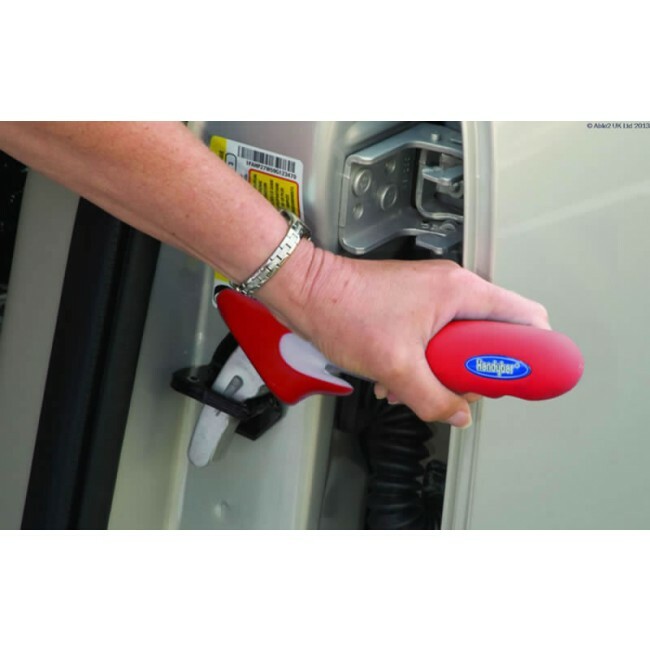 The user can get in and out of their car easily and comfortably with this strong simple device. The Handybar, with its soft grip, non-slip handle for ectra comfort and super strong forged steel shaft, creates a safe, solid support handle where it is needed. The Handybar fits the majority of vehicles with the 'U' shaped striker, The Handybar also incorporates a Seat Belt Cutterand Glass Breaker to help leave a vehicle quickly and easily in the event of an accident. The wedge shape provides a pelvic tilt ensuring the hips are higher than the knees - taking the strain away from the lower back. Added support to ease muscle tension in the lumbar region. Can be used on a chair or in the car for additional height when seated.